Unlike other landscapers, Willowcreek Tree Farms landscaping is the complete package deal: no need to find a tree farm, a transplanter AND a landscaper. At Willowcreek Tree Farms, you have all three. 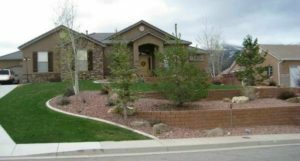 We specialize in the whole process for landscaping trees Utah; from planting the seeds, all the way until the tree is firmly rooted in your yard. Incorporating a mature tree into a landscape takes a specialized landscaping service, especially with the unpredictable weather. Willowcreek Tree Farms is duly equipped and loaded with know-how to make your new large trees perfectly integrate with your landscape. You can rest easy knowing that any tree you purchase from Willowcreek Tree Farms was grown locally. Your tree will be pre-adapted to our climate. This helps ensure your tree will thrive on your property for years to come. We have over 40 years of experience in Northern Utah. We can help you to pick the right species, size and shape, ensuring that you achieve the best benefit from the tree(s) you add to your property. We are also full of useful information about caring for your new tree. We are large tree experts. We specialize in selling, moving and transplanting large – up to 35’- trees. This means that you can have the aesthetic appeal, privacy, shade and wind-breaking benefits of a large tree now instead of 20 years from now. Let us help you beautify your home today! We do on-site estimates and recommendations. We know that every home and property is unique and we treat them accordingly. We want to ensure that you experience our high level of expertise first-hand so you feel comfortable knowing that your yard is in good hands. Call us at (385) 257-0055 or send us an email and we’ll get back to you as soon as we can.